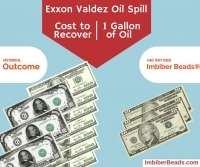 How much did it cost per gallon recovered for the Exxon Valdez Oil Spill? 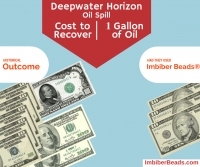 How much would it have costed per gallon had Imbiber Beads® been used? Colour changing technology tells responders when they are cleaning clear fuels/chemicals. 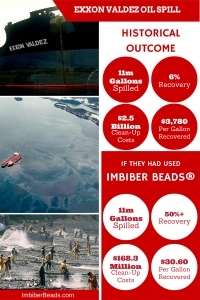 Color changing technology ONLY offered by Imbiber Beads® spill response product line. Stop by our booth at PowerGen 2015 to see our brand new containment drain system. Stop by our booth in New Orleans, November 10-12. 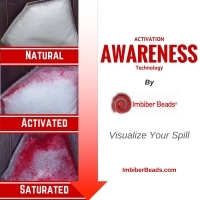 Oil spill response products secure multi nation distribution deal across the Caribbean. 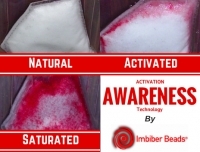 610 CKTB Tim Denis Morning Show interviews IMBIBER BEADS® President John Brinkmann.